Cath Avery isn’t just any Simon Snow fan. The whole world is a fan of the seven Simon Snow books and their film adaptations, but Cath is a Big Name Fan. Online, where she’s known as Magicath, she’s the author of Carry On, Simon, the biggest year eight fic in the Simon Snow fanverse, and she only has until May to finish writing her version before Gemma T. Leslie releases the final Simon Snow book, and her story officially becomes noncompliant. Unfortunately, Cath has a big year ahead that could potentially interrupt her writing; she’s starting university, and her twin sister, Wren, has refused to be her roommate, so Cath is going to have to meet the dreaded new people. Since their mom left when they were kids, she also has to worry about the fact that their dad will be on his own for the first time. Despite being a freshman, she’s also gotten permission to enrol in an upper division fiction writing class, where she will have to test her writing skills outside the comfortable world of Simon Snow. 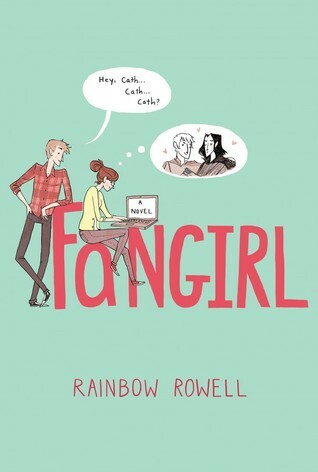 Rainbow Rowell brings the Fangirl characters to life by showing their flaws as well as their strengths, with carefully selected details. Cath fears new situations so much that she spends a month eating protein bars in her dorm room rather than facing the daunting prospect of the cafeteria. Wren may be more outgoing and socially adept than Cath, but she’s also more susceptible to peer pressure, which Cath proves largely able to resist. Their father is brilliant advertiser—“a real Mad Man”—but doing this job means not taking the medications that might help him keep his manic episodes under control. Rowell paints a very sympathetic portrait of mental illness in Mr. Avery, one more example of her ability to write misfits we can all sympathize with and want to root for. For those who criticized Eleanor & Park as a nostalgia book because of its 1980s setting, Rowell has proved that she can bring the same resonance and attention to detail to a story set in the present day. Fangirl is a coming-of-age story, but one with the ability to appeal to those who are merely remembering this stage of life, as well as those who are experiencing it. Introverts and misfits of all types will likely find Cath extremely relatable. 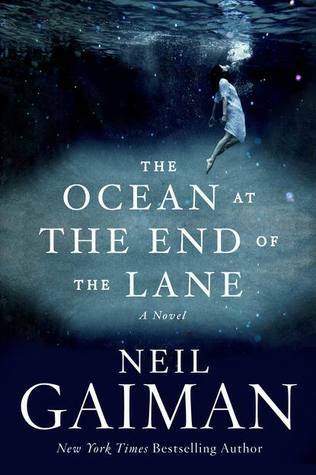 Just a reminder that today is the last day to participate in a Rafflecopter giveaway for a signed first edition of The Ocean at the End of the Lane by Neil Gaiman, which I’m giving away in celebration of Required Reading’s first birthday. You have until 9pm PST to enter! This title fulfills the New Adult requirement for my participation in the 2013 Eclectic Reader Challenge hosted by Book’d Out. I enjoyed both attachments and Eleanor and Park so this one is on my wish list. I haven’t read Attachments yet, but its definitely on the TBR pile!